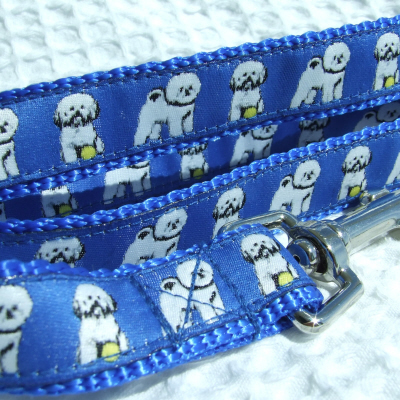 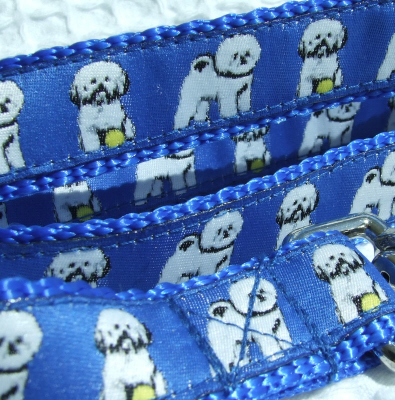 A Bichon Frise design on Blue woven ribbon sewn onto sturdy Blue nylon webbing. 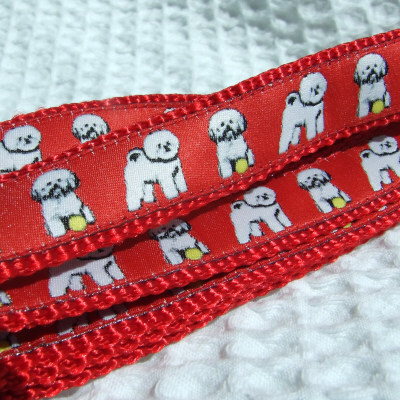 A Bichon Frise design on Red woven ribbon sewn onto sturdy Red nylon webbing. 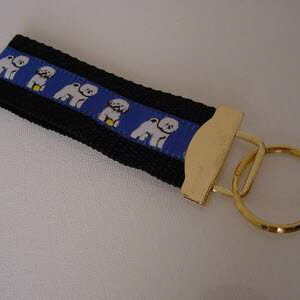 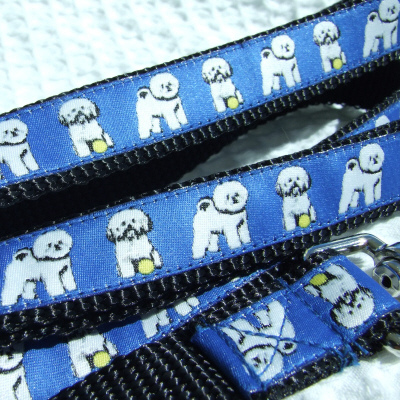 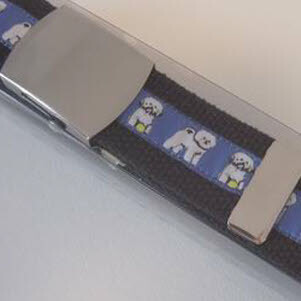 A Bichon Frise design on Blue woven ribbon sewn onto sturdy Black nylon webbing. 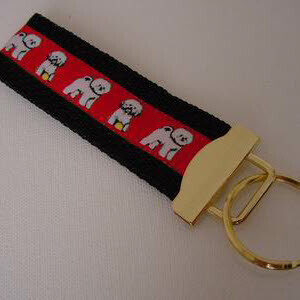 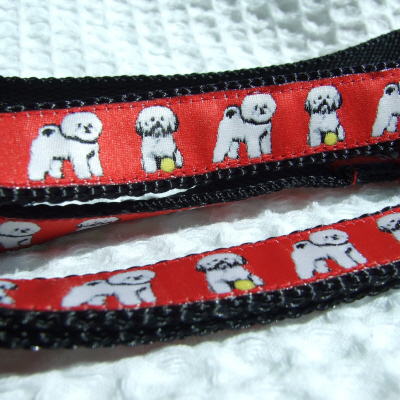 A Bichon Frise design on Red woven ribbon sewn onto sturdy Black nylon webbing. 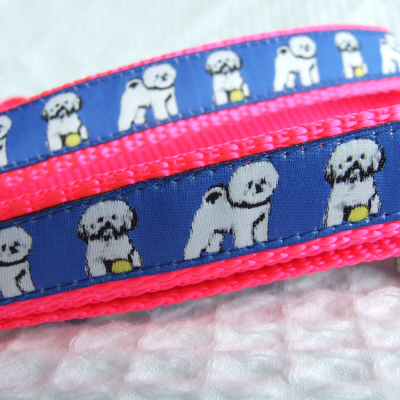 A Bichon Frise design on Blue woven ribbon sewn onto sturdy Pink nylon webbing. 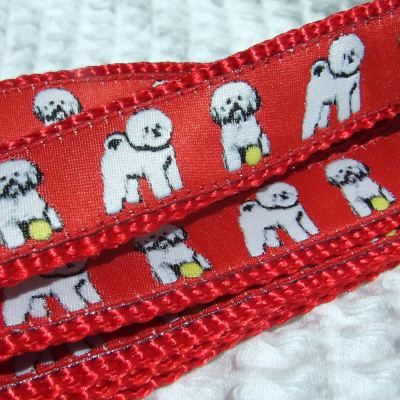 A Bichon Frise design on woven ribbon sewn onto sturdy nylon webbing. 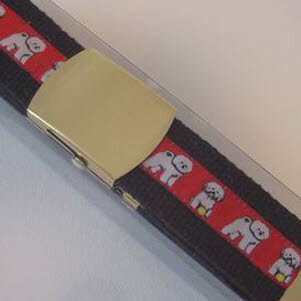 A Bichon Frise design on Red or Blue woven ribbon sewn onto same colour sturdy nylon webbing. 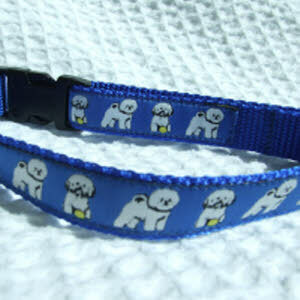 Bichon Frise design on Blue or Red woven ribbon sewn onto sturdy Black nylon webbing.